Sunday after putting the boat to bed after a great day of sailing outside San Diego Bay with the crew from Surf-Fur.com; I needed to whip up a quick dinner for another friend coming for dinner and this was the BOMB. Cooking on the egg in less than an hour, it gave me prep time for the rest of the meal and wasn’t too hard to make. I started with a whole defrosted chicken and my ceramic chicken cooker (filled with cheap beer) on a drip pan. I dry-rubbed the chicken, set up the Big Green Egg for cooking indirect at between 350′-400′ degrees and without further work, left the chicken in the BGE to cook for an hour. During that hour I did not open the lip as the heat would have escaped, depending on my drip pan to keep the drippings in and not allow that grease to get into my stone (used for indirect cooking). It worked. After an hour and ten minutes, I had a tender, moist Beer Can Chicken for the record books, the rest of my dinner was done and I had been able to enjoy a sunset on the stern of my boat while prepping it all. I think the key to this successful cook was the Sittin-Chicken Ceramic Beer Can Roaster that I used. It kept the chicken sitting upright and didn’t potentially warp or fall over like a hot beer can might. We could easily taste the beer and spice mix that had been inside the roaster and there was still beer and spices inside when I took it off the grill. Paired with a nice bottle of California Viognier, this was a fantastic quick cheap meal. 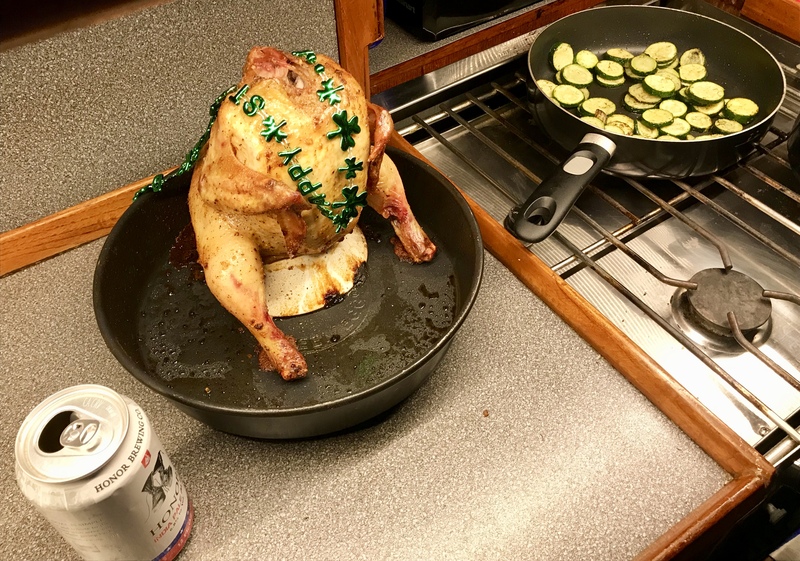 Take a look below at one of my first beer can chickens…on a Big Green Egg on a sailboat! 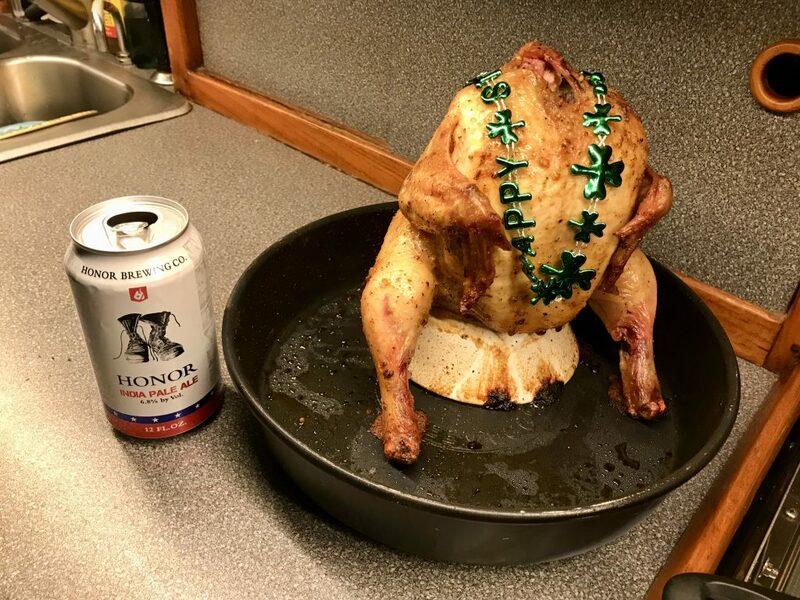 Beer Can Chicken cooked on Saint Patty’s Day. Good Morning, I was so excited to write this post that I couldn’t wait till later in the week to release it. 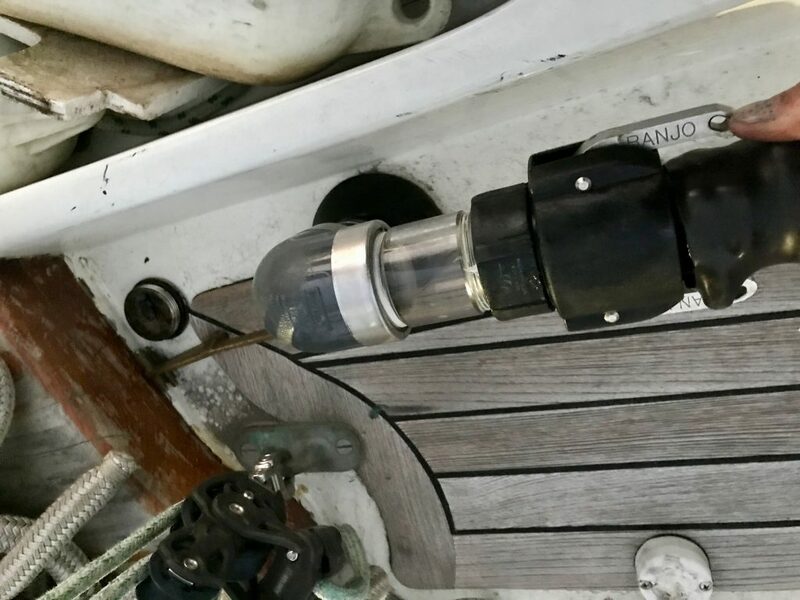 Lest you think I only write about sailing and sailboats, here’s a post about an important upcoming powerboat event that everyone will appreciate, sure to be an adventure! Ever heard of the CUBAR? Most of you probably haven’t, so I’m gonna take a teachable moment and drop some knowledge. 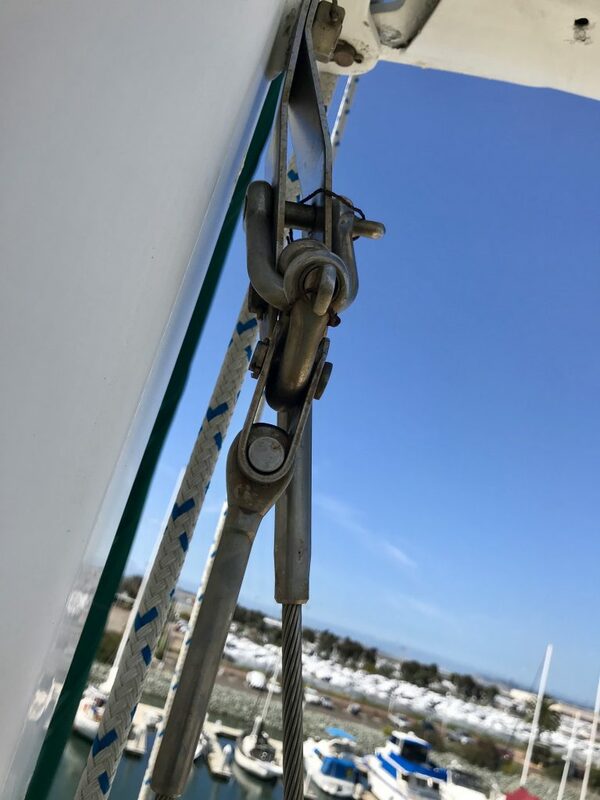 CUBAR stands for “Cruise Underway to Baja Rally” The event is sponsored by the San Diego Yacht Club and is geared toward powerboats, like the Baja Ha-Ha is geared toward sailboats. It takes off from San Diego, stops in Ensenada, Turtle Bay, Mag Bay, San Jose Del Cabo and finishes in La Paz, Mexico. This is a definitive West Coast Rally for powerboats and a great way to get to Mexico with a bunch of folks who will become lifelong friends. This year’s CUBAR is being run by the owner of TRLMI, where I just took three small boat technical courses in a row, vastly improving my overall knowledge. The coolest part of this year’s rally is that it’s leaving to head south on the same day as the Baja Ha-Ha, so there may be well over 200 boats in San Diego Bay on November 4th. 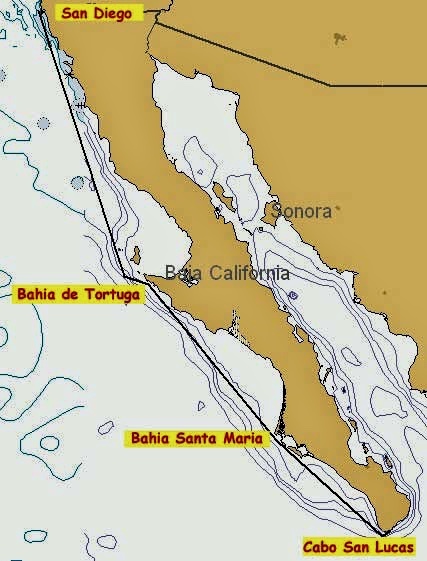 But, the CUBAR stops that first day in Ensenada while the Baja Ha-Ha folks keep sailing for Turtle Bay. So if you own a powerboat or have dreamed of owning a powerboat and want to head south in November, this is a GREAT way to do it. Even if you only want to go down Baja and then immediately bash back up, that’s ok….it’s an adventure waiting to happen. 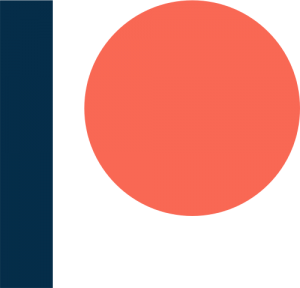 LF2SF has officially turned on its own Patreon Account and yesterday we turned on our own YouTube Channel…we’re official. This video of Mr. Dave Abrams pitching the CUBAR on Saturday (at a seminar I was at) is the first lightly edited and cut video we’ve made, but we’ve gotta start somewhere. So….here’s CUBAR 2019 on our very own baby YouTube channel. 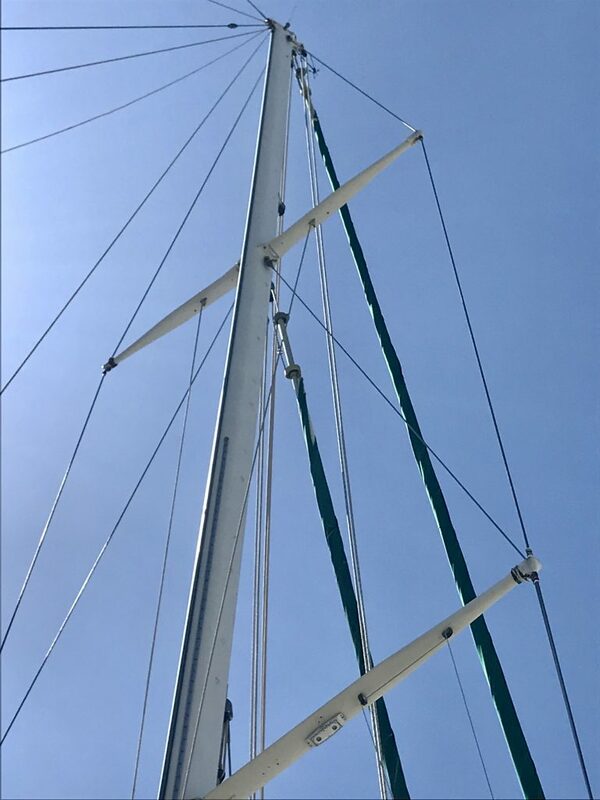 In getting ready to haul out our 51ft Sailboat for multiple upgrades, repairs and normal maintenance, I knew my wife would be in Japan the entire time and I still needed to maintain some semblance of a normal routine with my two young school aged girls. We looked very hard at hotels with kitchen near the boatyard and several Airbnb’s, but we would have paid over $1456 dollars total for 7 days. (the haulout turned into 11 days). This cost would have been on top of the food costs, haul out costs, subcontractor costs and every other costs. 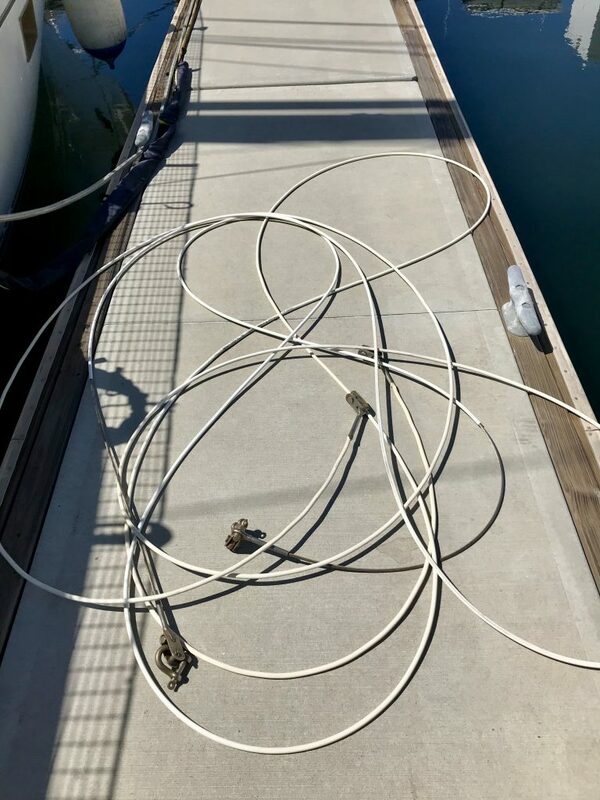 After talking to our friend and experience yacht broker from Yachtfinders/Windseakers, we just decided to stay on the boat while she was hauled out. This did present some challenges as we were not allowed to dump gray water (no dishes or our tank would fill up) and we didn’t coordinate our black water tank cleaning well, so we had to make sure it was cleaned while we were 16 feet up on the hard. 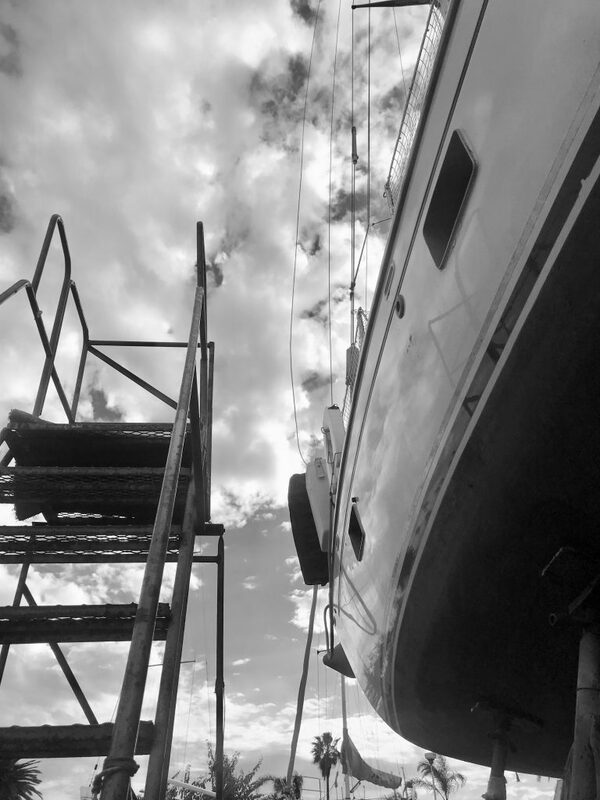 We also had to adjust to the kids clearing the gap from boat to ladder and the boat vibrating in it’s scaffolding at night, but things went well. The boatyard had nice bathrooms and showers and seemed to go with the flow of having young children there in the late afternoons. However, the boatyard started work early, so we tried to be off the boat by 0700 and the kids often were back by 4pm. 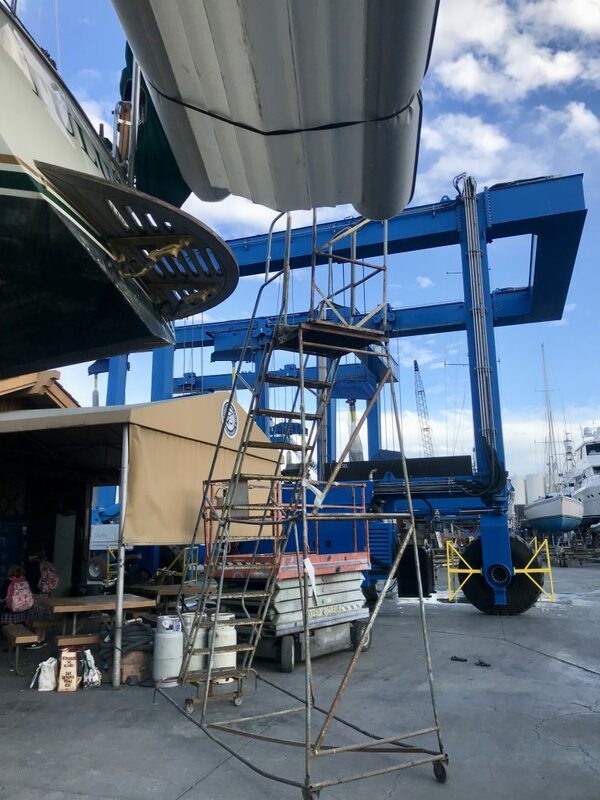 We tried to position the ladder in several places close enough for the kids to get on the boat, but in the end, it worked but it was in the paint crew’s way. Yep, there’s a pretty good distance between rain and ladder, I made sure our minds were in the game for this transition. 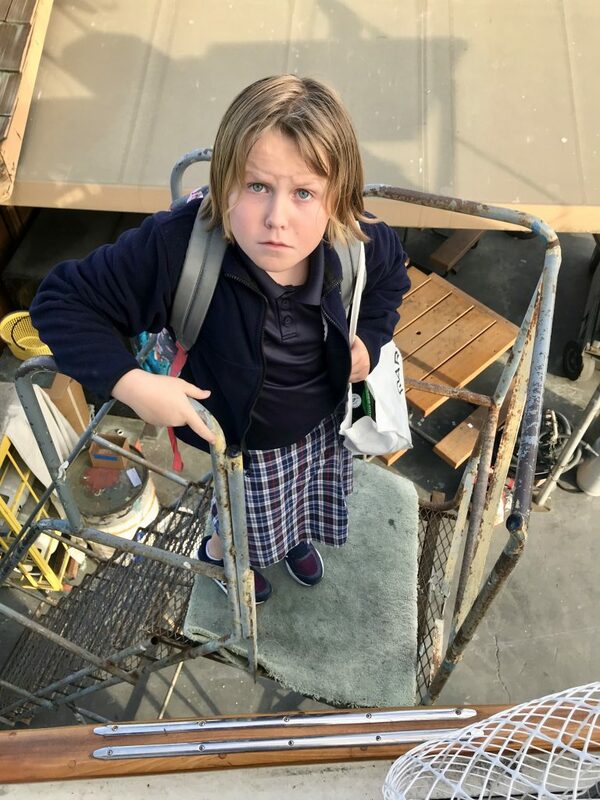 My 9-year old (Teragan’s) first time up the ladder. She wasn’t all that happy about this first time but took to it well and in the end, taught mom how to do it. (Yeah, it’s a long way down). 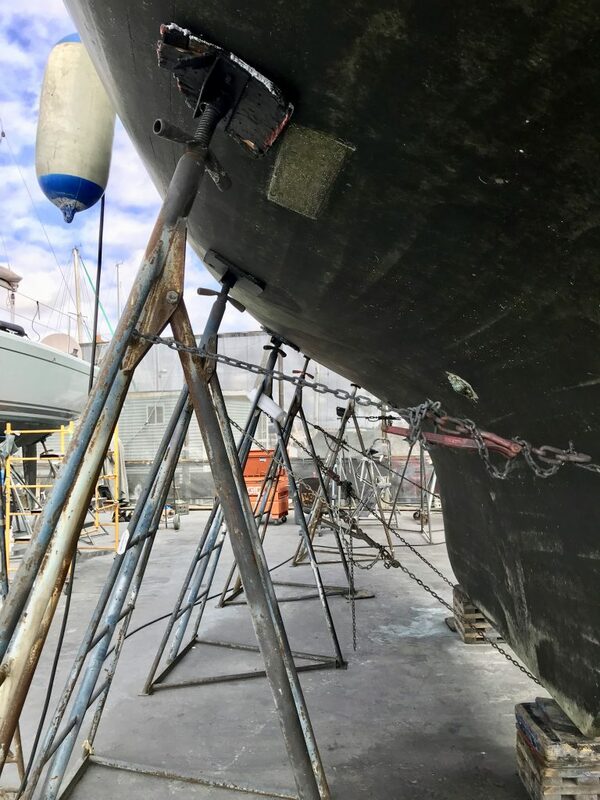 Your boat will probably have alot of scaffolding and bracing like ours. We got used to it and make it work. Plan your haulout better than I did, so you DON’T have to get pumped in the middle of it. Hard to make this work with two little girls on the boat with tiny bladders. Just had to be done. 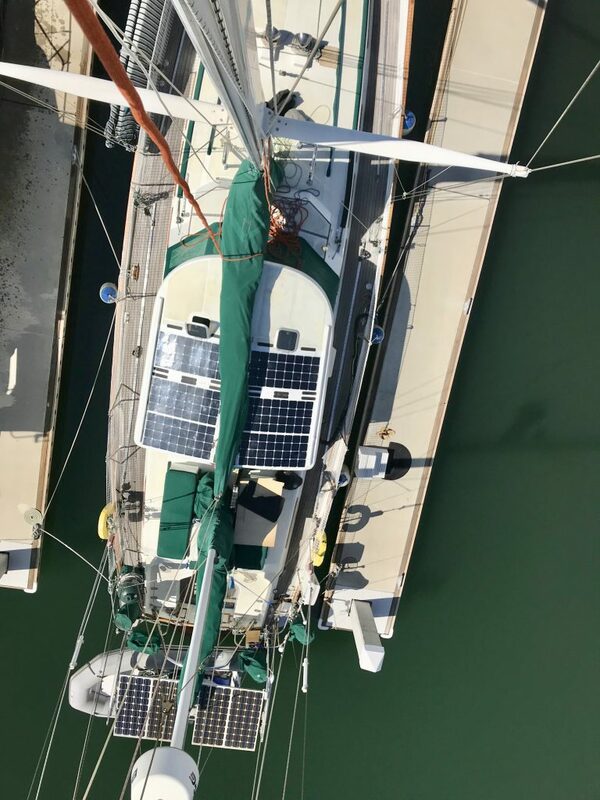 So in the end, if I can live on my cruising sailboat on the hard with two little kids while my wife is traveling on business, you can too. Note: Quincy the Great Dane was not with us, we kenneled her for this little adventure. I LOVE all the great SPAM Mail I’ve come back to on the website after an interesting two weeks in the boatyard. PLEASE keep it up…but I’m really bummed that you guys don’t think I need any more Viagra Spam mail. Really folks…I was looking forward to seeing all those again! On another note, we’ve been getting lots of great readership, THANKS. 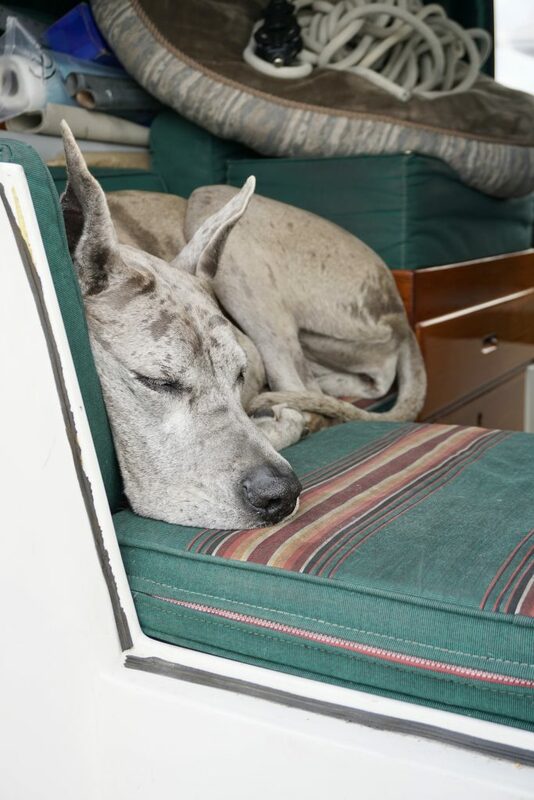 We just got back from the “Yards” where Tulum was hauled out for two weeks. Really GREAT experience with the Boatyard Crew and learning lessons from one of the subcontractors in the Yard. 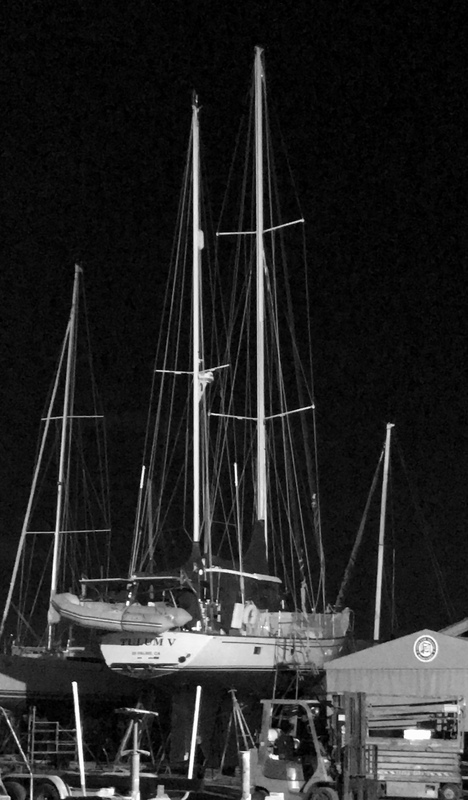 I lived on the boat, with the kids while she was out of the water, 16 feet up. It is possible to do all this. Michelle was in Japan most of the time on business, so it was an exciting two weeks. Stay with me, more to come once I’m settled again. Took the big girl (the boat) out for some time on the water yesterday and she didn’t disappoint. Whoever called her a Motorsailor never sailed her I guess. I had her doing 4 knots in 6.5 knots of wind….we were smokin! When I discuss downsizing personal items; I’m not talking about sorting and putting things in storage, I’m talking about actually getting rid of very personal items because you really don’t want to pay for yet another storage shed. This was brought home last week as I watched our triathlon bikes and equipment get sold and carted off. I was the impetus behind this but it still had an emotional impact, as we’ve now truly closed that door for the near future at least. I’m around but distracted because Tulum has been hauled out since late Tuesday but her bottom’s not even started yet. The damn cold and wet weather patterns have not helped. These Jan/Feb/Mar months have been the wettest and coldest I’ve ever experienced in San Diego. In order to save approx $1400 dollars on hotel or Airbnb costs, we elected to stay on the boat and then yard happily obliged. We have power and our crack poop pumper showed up at the yard with a 100 foot hose to clean us out,,,although the yard has very nice heads and a private shower. Climbing the 16 feet to the boat via ladder has not stopped the girls but they have had to learn to slow down and allowed me to help them across the expanse from ladder to boat. The yard starts early in the day and ends work early in the day, something we’ve gotten used to and have worked through. I think we’ll go back in the water by this coming Thurs/Fri, just in time for Michelle to get back from her Japan trip and miss all the fun boat work in the yard projects. I’m sure she’s jealous!